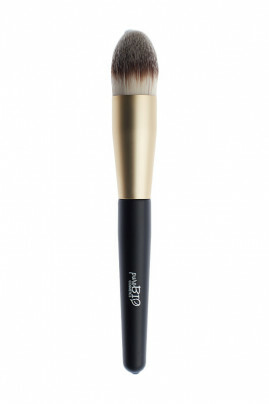 The Purobio Face Brush n°10 is a must-have to apply your Sublime BB Cream! Made of ultra-soft synthetic hair, it does not irritate even sensitive skin. Easy application thanks to its tapered shape and soft hairs, it offers a uniform, fresh and natural effect. The Purobio Sculpting Tapered Brush is also perfect for sculpting, especially with cream products. Apply your BBCream like a pro with PUROBIO BB Cream Brush! On a moisturized face, apply PUROBIO Sublime BBCream with PUROBIO Sculpting Brush starting from the center of your face and stretching outwards.